Alexandria, VA -- The Alexandria Convention & Visitors Association (ACVA) announces that President and CEO Stephanie Pace Brown will be leaving in June to head the Asheville Convention and Visitors Bureau in Asheville, North Carolina. Brown has been Alexandria&apos;s top tourism official since 2007. During her tenure, visitor spending has increased 17 percent -- more than doubling the average growth in Virginia and neighboring jurisdictions. In 2008, Brown revolutionized the organization&apos;s marketing strategy to create a powerful return on investment for Alexandria. 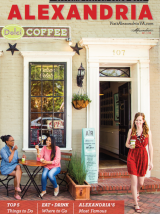 She implemented research and redeveloped Alexandria&apos;s tourism brand, and the new theme "Shop, Dine & Celebrate on America&apos;s Historic Main Streets" was introduced. VisitAlexandriaVA.com now attracts more than one million visits annually. "Stephanie has done a fabulous job for Alexandria," Mayor Bill Euille said. "Tourism in the City has grown significantly under her outstanding leadership, generating more than $22 million in city tax revenue annually. We appreciate that she has created a truly remarkable organization, and we wish her every success in Asheville." Brown was instrumental in the success of the National Harbor Collaborative Task Force whose recommendations included the King Street Trolley. She has fostered collaboration among the City&apos;s economic development partners, and has developed strong relationships between the ACVA and the Alexandria arts and history communities. "Working with Stephanie has been an honor and a pleasure," said Jody Manor, chair of the ACVA Board of Governors. "She is a talented leader who fosters collaboration and innovation. We will miss her in Alexandria, but look forward to building on the foundation she created." Charlotte Hall is Vice President of the Potomac Riverboat Company and past chair of the ACVA. She said, "When I helped form the ACVA in 1996, we could only dream of the incredible level of benefit this organization could leverage for the City and its businesses. Stephanie&apos;s vision has gotten us there and beyond. She has given us an incredible gift to build upon." Brown&apos;s involvement in the community also includes serving on the Torpedo Factory Art Center Board, Historic Alexandria Resources Commission, Northern Virginia Visitors Consortium, Virginia Tourism Development Plan Steering Committee, and Burke & Herbert Bank Alexandria Advisory Council. National appointments have included the US Travel Association Board of Directors and the Simpleview Industry Advisory Board. When Brown assumes her new duties in Asheville, she will oversee a team of 21 and a marketing and product development budget of nearly $8 million.